All good interactions. Love the directions sent and posted so everything is clear. Thanks! Beautiful condo, well kept and clean. Easy access to activities all along the North Shore. I wanted to change the week of our stay after booking, and the staff member made it easy for me. I thought it was going to be a big hassle with new paperwork and extra fees, but I was delighted at the flexibility and willingness to help. Beautiful townhouse, thoughtfully furnished, so clean and welcoming. The size and layout was perfect for our family - it has many places to be and three separate sleeping areas. Some parts felt more "decorated" than made to be used: a light over the kitchen sink would be more useful than sconces, tile backsplashes for the kitchen and tub, wicker furniture in the living room. I love this home. Beautiful, clean, upscale without being pretentious. We took our granddaughter to the North Shore and stayed in Aspenwood 6550 for three days. This 2-bedroom, 3-floor condo was very nice and met all of our needs. The view of Lake Superior from the master bedroom and dinning/sitting room was spectacular! Having 2 bathrooms and a half-bathroom (one on each of the 3 floors) was very convenient. This is a very roomy unit and is at the end of the complex, making it a little more quiet and private. 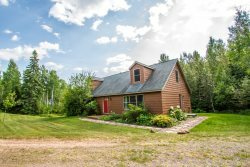 Located between Tofte and Lutsen gave us access to good restaurants, a couple state parks, and several activities. We will definitely try to rent this unit in the future. I have stayed in this space at least 4 or 5 times. It is beautifully maintained, well appointed and in a great location. Great place! Super clean. Close to the ski hill and overall, wonderful. The only issue was the lowest level was very hot and we couldn't get the heat to turn down, even with the thermostats set at 60 degrees. The main floor and upper floor were just fine, it was just the basement that was way too hot. The only missing items in the kitchen which would have been nice was a large pitcher to make juice. There was a small one but 1 frozen juice can of juice was too much for it.